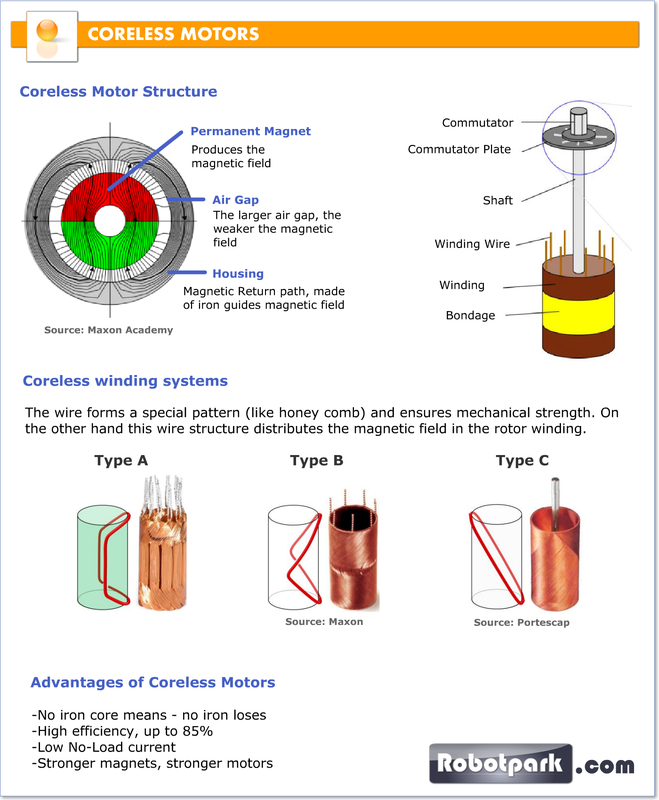 What is a Coreless Motor ? 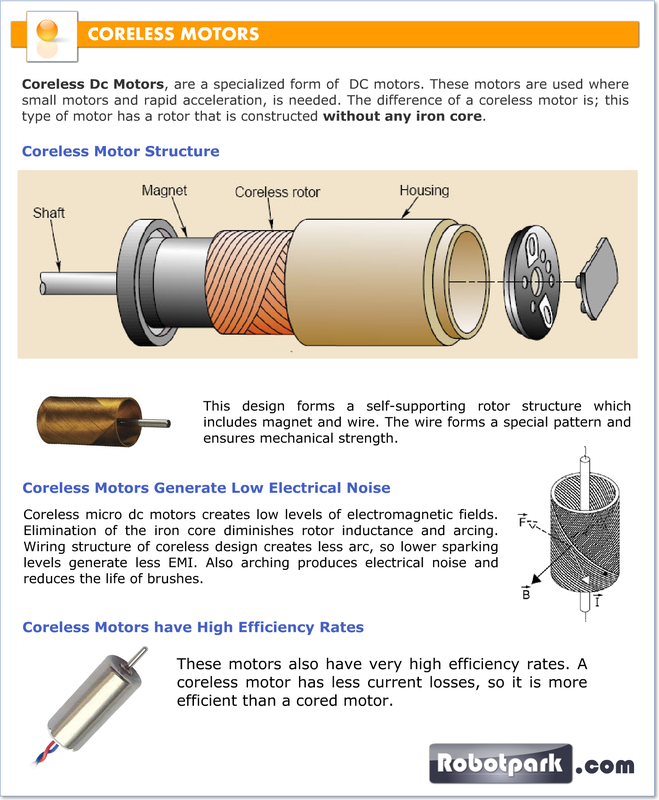 Coreless Dc Motors, are a specialized form of DC motors. 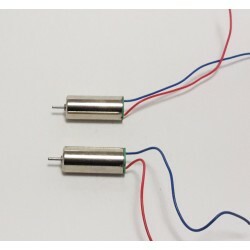 These motors are used where small motors and rapid acceleration, is needed. The difference of a coreless motor is; this type of motor has a rotor that is constructed without any iron core. They can be in cylindrical or disc form. Micro Coreless Dc Motors are "Micro Sized Efficient" dc motors created by high precision machining and a special winding structure different than cored motors, that presents higher outputs and control. First coreless motors are designed at 1930s but it took nearly 4 decades for coreless motors to be accepted as products. This design forms a self-supporting rotor structure which includes magnet and wire. The wire forms a special pattern (like honey comb) and ensures mechanical strength. On the other hand this wire structure distributes the magnetic field in the rotor winding. Magnets can be strong Neodymium Type or other special types. As a coreless micro dc motor's rotor has very low inertia they can have fast reaction time. These motors also have very high efficiency rates. 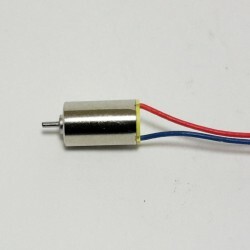 A coreless motor has less current losses, so it is more efficient than a cored motor. Free running currents can drop under 50mA and that is a big advantage where the device is battery powered. Coreless micro dc motors creates low levels of electromagnetic fields. If a motor creates high levels of EMF this can result interference with other EM signals. In a cell phone or a wireless device this EMI (electromagnetic interference) can cause critical problems. Elimination of the iron core diminishes rotor inductance and arcing. Wiring structure of coreless design creates less arc, so lower sparking levels generate less EMI. Also arching produces electrical noise and reduces the life of brushes. 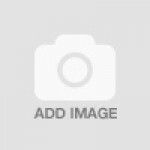 -at small devices like cell phones, tablets, smart devices etc. As Coreless Dc Motors usually can reach very high rpms and has a compact structure, these motors can heat quickly. Especially when running at full load for a short time. So it is usually advised to use a cooling system with these motors. Overheating can be an important problem specially for Coreless Micro Dc Motors. So a disadvantage of a coreless motor is, it cannot handle overloads when compared to a cored motor. The bonding adhesive that holds the windings can lose its bonding character and the motor will be broken.